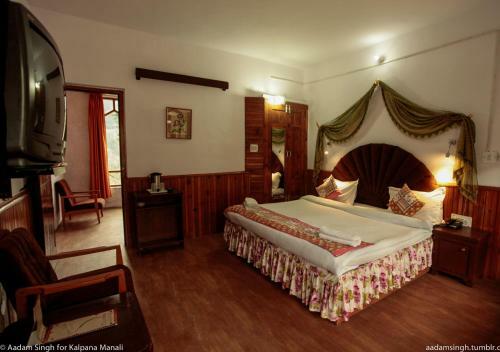 Operating a 24-hour front desk, Hotel Kalpana is situated conveniently within 200 metres to the famous Hidimba Devi Temple. It provides free parking on site and complimentary Wi-Fi access in its public areas. 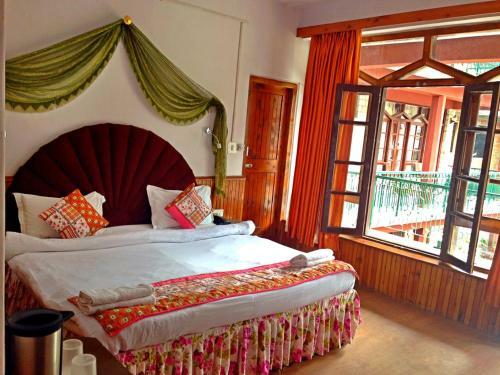 The hotel is just 1.5 km from Manali Bus Station and the Buddhist Monastery. 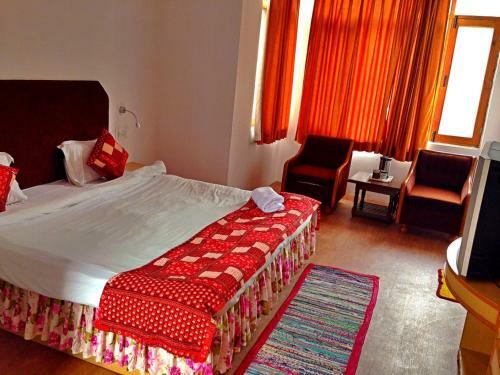 The well-known Rohtang Pass and Kullu Manali Airport are approximately 50 km away. 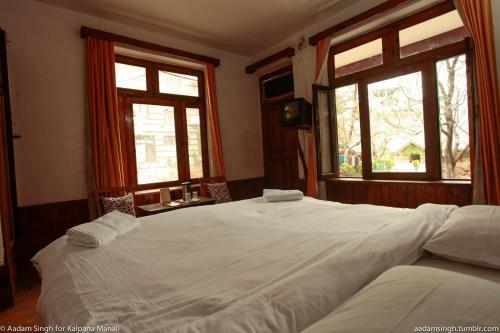 Featuring views of the mountains, comfortable rooms are fitted with parquet flooring, heating, a flat-screen satellite TV and seating area. 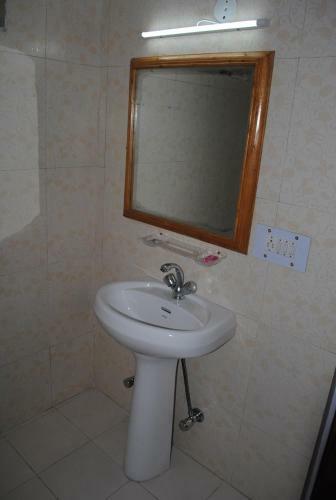 Shower facility is provided in the attached bathroom. 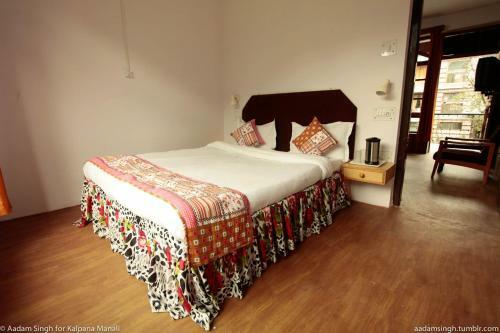 Hotel Kalpana has a tour desk that can assist with sightseeing activities and travel arrangements. Laundry, dry cleaning and car rental services are available upon request. The in-house Green Chilies Restaurant serves tasty Indian, Continental and Chinese cuisines. Guests may also enjoy meals in private with room service.